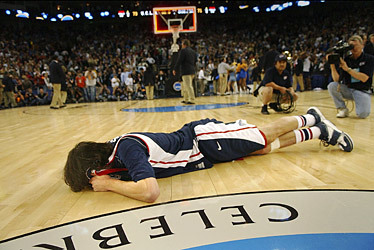 In the Oakland regional semifinal of the 2006 NCAA Tournament, Adam Morrison and the Gonzaga Bulldogs led by as much as 17 points. However, the Bruins of UCLA were able to cut the lead...and the rest is history. Gus Johnson is on the call for one of his most memorable moments throughout his sportscasting career.